….The writer Umberto Eco belongs to that small class of scholars who are encyclopedic, insightful, and nondull. he is the owner of a large personal library ( containing thirty thousand books), and separates vistors into two categories: those who react with ‘Wow! Signore professore dottore Eco, what a library you have! How many of these books have you read?’ and others – a very small minority- who get the point that a private library is not an ego boosting appendage but a research tool. Read books are far less valuable than unread ones. The library should contain as much of what you do not know as your financial means, mortgage rates, and the currently tight real estate market allow you to put there. You wil accumulate more knowledge and more books as you grow older, and the growing number of unread books on the shelves will look at you menacingly. Indeed, the more you know, the larger the rows of unread books. Let us call the collection of unread books an antilibrary. My only explanation is that this one was a gift by a well-meaning friend who knew in a vague sort of way that I am “into history”. I really don’t care very much about Tecumseh and still less about his brother the Prophet ( maybe if he had a better handle on the prophecy thing their confederation would have won). This has been sitting on my shelf for 20+ years. 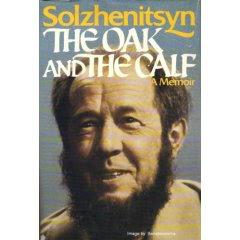 This is odd, because I’ve read The Gulag Archipelago twice, along with Cancer Ward, The First Circle and August 1914. Not sure if I burned out on Russian-Soviet studies at the time or if the collapse of Communism made it less relevant but it has never been cracked open. Sweeping, magisterial, impressively detailed…..and decidedly unread for at least 15 years. As my Great-great Grandfather hailed from Germany, I now suspect the author may be a distant relation. That hasn’t helped me get started reading it. One of the more ironically-timed books ever written, coming out a mere six months before 9/11, I have had this one for 10 years + and I think I bought it in hardcover for $4 (you can it used on Amazon for one cent. Ouch!). 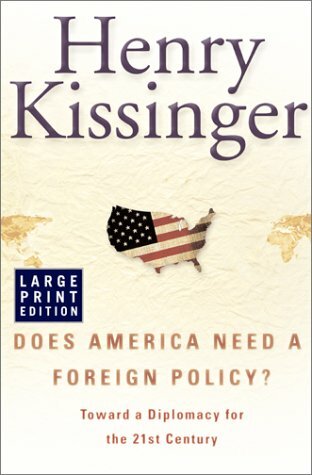 I have read a fair amount of Kissinger, including his acromegalic, multi-volume memoirs, but I can’t muster the energy to read this one. What are you not reading and why? This entry was posted on Friday, November 30th, 2012 at 4:11 am	and is filed under #FAIL, Antilibrary Blog, authors, book, fun, historians, historiography, history, ideas, intellectuals, Musings. You can follow any responses to this entry through the RSS 2.0 feed. Both comments and pings are currently closed. Shouldn’t Taleb have called it the Antelibrary instead of an Antilibrary? Stop blogging and don’t resume until you have read ” Cpnquest”. It is brilliant book and excellently written. You don’t know what an epic story is until you have that book. I meant of course “Conquest”. There is something to be said about the Taleb passage from The Black Swan. Maybe it seems old, or overly familiar after being passed around from John Robb, Jeff Vail, and Shlok Vaidya since early 2008. Swords Around the Throne, by Elting Not sure why. Elting is a good writer, his Amateurs at Arms was pretty good. The Johnstown Flood, by McCullough — have had it for over 10 years and there never seems to be the right time. Probably, but as Taleb knows six or seven languages more than I do, I fear that if I corrected him he would then deliver a pun against me in old Syriac. I know. I was one of the earliest of the passers. I find Taleb’s concept a useful device for discussing aspects of book collecting and intend to keep using it until something better arrives. It is a high bar, but Conquest is true. Walden. A 2004 gift from my former best friend with her fieldwork notes all over it, a mix of budding entomologist wonder with insects & natural patterns & ruminations on Thoreau’s thoughts. One day I will grow up & read it. Scott- Seeing Like A State. West. Black Lamb & Grey Falcon. * I lived in Johnstown for a few years as a child.